Ben M at Burning Man, originally uploaded by webponce. 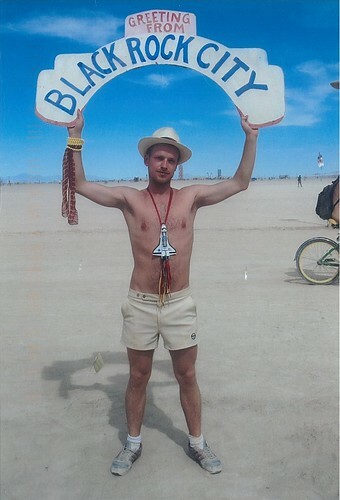 I finally managed to scan the postcard which was made by the girl I gave the camera to at Burning Man. So it’s attached. She took a pic of me and printed in onto a postcard which I sent home to myself. I gave her the camera. You can follow Camera 13‘s progress at the tracker.